"The War in the West." 1864 photo by George N. Barnard. 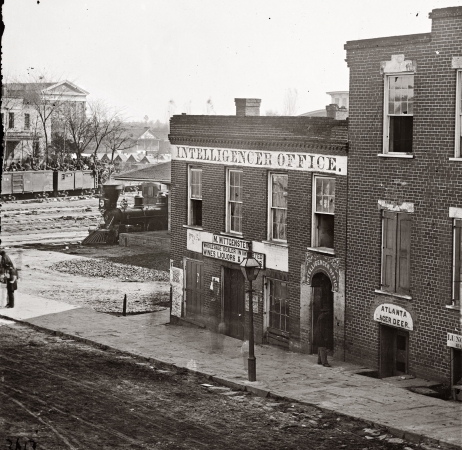 The Atlanta Intelligencer newspaper office by the railroad depot.